Squeezing the Mexican limes for this Mexican Limeade flooded my mind with memories of my childhood. I immediately thought of my aunt and grandmother. They used to make this for us all Summer long, pretty much everyday for lunch. 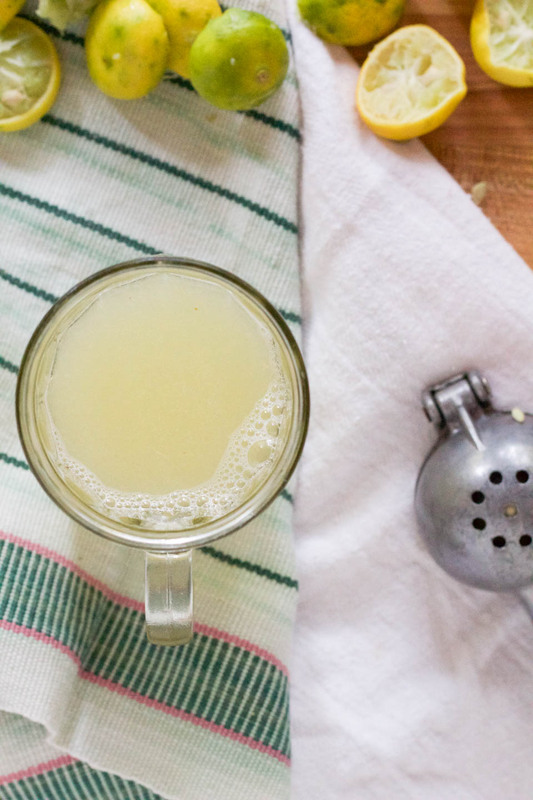 Everything was made from scratch, even the limeade! The smell of a Key Lime also known as the Mexican lime is slightly different than a Persian lime, the one you commonly find in the store. It smells like my childhood, bright and cheery running around outside with my cousins in Mexico. I made this the day I had my family over for dinner this week. I knew they would get transported right back to Torreon like I did, I was right. I told them I had made some and their faces lit up. One whiff then a swig, they knew exactly why I made it and my feelings on it all. It’s one of those things, an instant memory transport to the past, and a great one at that. With limes available all year long, it’s easy to make anytime you want a tangy homemade beverage. Especially if you thought like Brian did and were thinking this is a good base for mojitos. You’d be right on that one, it’s the perfect start to an adult beverage for sure. But first and foremost, it’s a good beverage to serve on a hot day with the kids, or like me, to be transported to that childhood memory. I love that the simple smell of food does that. a note: limes can vary in acidity, adding more or less water to your liking is how to achieve the best balance of sweetness and acidity. I added 7 cups of water. I have made a batch that needed much more. 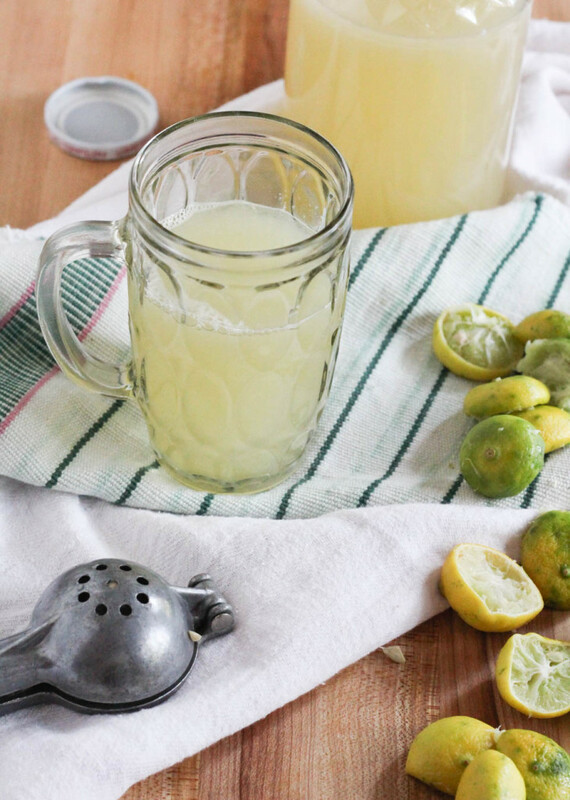 Make the limeade with 7 cups, taste and add water as necessary. 1. Place 1 1/2 cup sugar with 1 1/2 cup water in a small pot over medium heat for 2 minutes or until sugar is dissolved. Remove from heat. 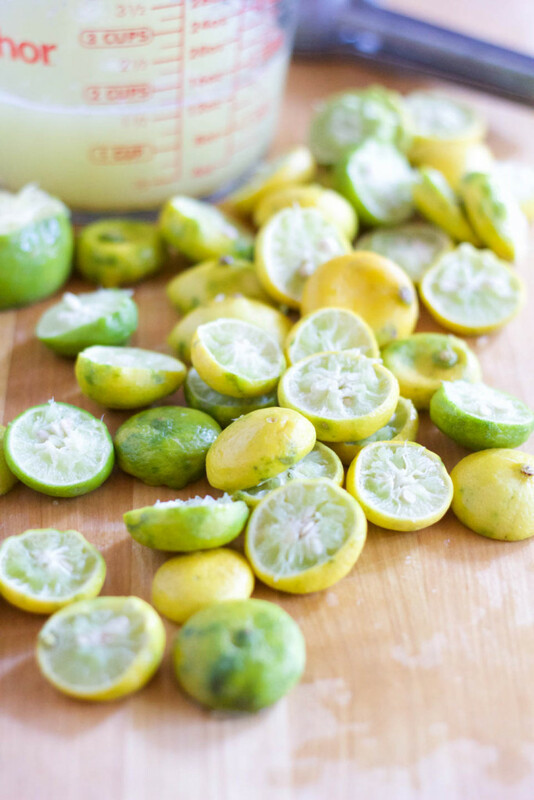 Place in a large jar, or container for limeade with lime juice, and 7 cups of water, stir to combine. 2. Taste for sweetness. Acidity in limes vary, you may need to add more sugar and water. If you do, only add a few tablespoons at a time. Serve cold, and store in fridge for up to one week. Use to make mojitos!